« Should You Outsource Your Website Redesign? This is supposed to be one of the first things you do because you don’t want to lose all of the search equity from your older pages. During the web redesign process you are bound to change URLs, keyword placement, drop a few pages or add a few, maybe even completely change domain. When that happens you’ll lose everything on an SEO point of view unless you 301 redirect. Every time redesigning is brought up this should be the first step in the whole process. It ensures that all the hard work you’ve done so far to gain traffic and page rank won’t get lost in the shuffle. How many companies forget to do this is astonishing. Somehow so many companies have no clue about webmaster tools. Even Google allows you to open a webmaster account but no one seems to remember it. When you’re redesigning your site you should look into this because it gives you a lot of options to maintain search optimization. Yes, webmaster accounts allow you to run through analytics like clicks per page, total traffic data, and monitor inbound/outbound links but the biggest benefit is that you can tell Google you are redesigning or moving domains. This is the best feature because you want search engines to know that you’re changing things up. By alerting Google through webmaster tools you can be assured that all of the search data won’t get lost. Another important thing is that Google will send you notifications when things aren’t right. 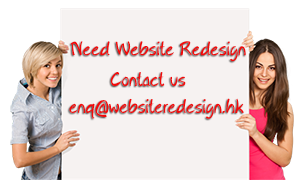 This will ensure you get through the website redesign process smoothly, without any hitches from search engines. Before you even start drawing new design ideas you should conduct an SEO audit. This will tell you everything that is currently working and currently failing with your present web design. You’ll be able to lay out what will be kept, what needs to be dropped, and what new concepts need to be integrated with the new web redesign. Unfortunately, a lot of companies forget this step and just list down all of the things they want to see in the new design. Because they don’t audit they lose a lot of functional aspects without even knowing how they could’ve affected the new design’s performance. Redesigning can be fun or it can be tedious, depending on how you handle it and why you’re going through it. However, you can make the transition so much more effective if you don’t forget to go through these three simple steps. These tips will ensure you don’t lose anything in the website redesign process and may even help you identify if redesigning is worth the trouble or not.